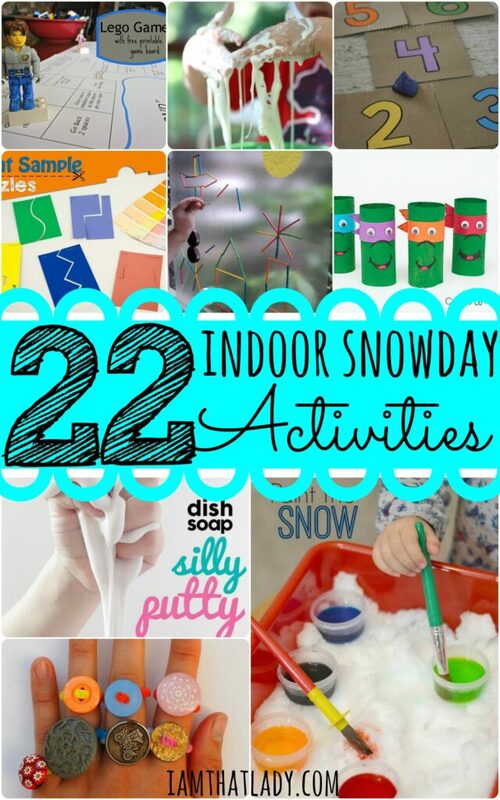 22 indoor snow day activities - easy and fun! I live in New York State, which means we get a LOT of snow! Today my kids are actually home from school due to a snow day, so in order to keep them occupied I started looking around Pinterest to find some indoor snow day activities. I decided to put together a list of some of the best ones I found, so that you can easily entertain those kiddos of yours too! 1.) 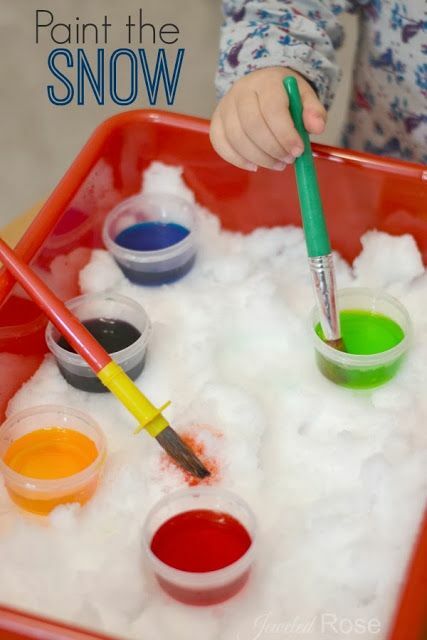 Indoor Snow Painting – Perfect for toddlers! 2.) Pom Pom Racing – can also double as a racetrack for cars! 3.) 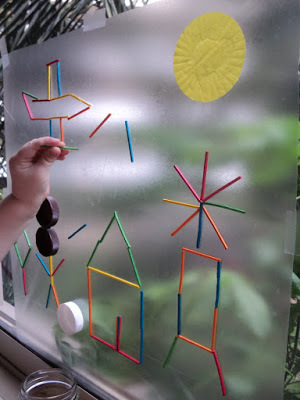 Sticky Window Art – cool idea! 4.) 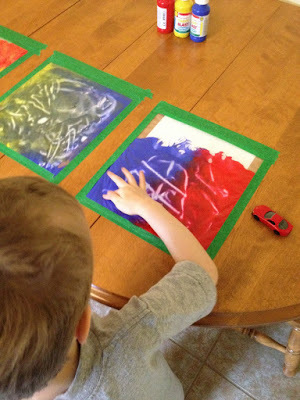 No Mess Finger Painting – I am loving this idea for my 18 month old! 5.) 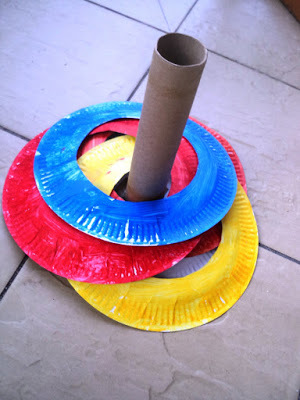 Paper Plate Ring Toss – All you need is an empty paper towel roll, paint, and cheap paper plates. 6.) 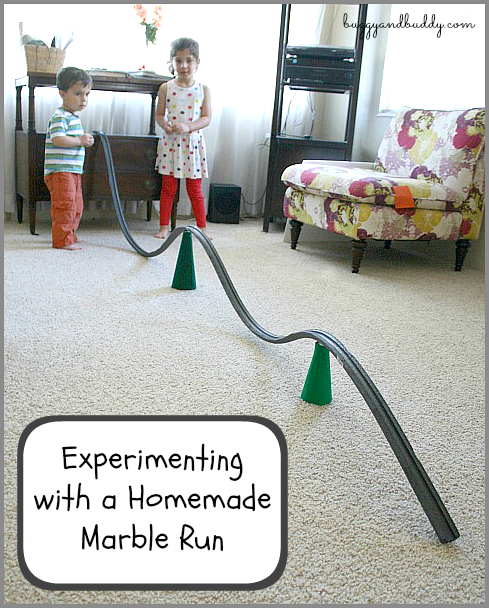 Marble Run – Only do this if you don't have small children around. We are going to pass on this one until Abby gets a bit older. 7.) 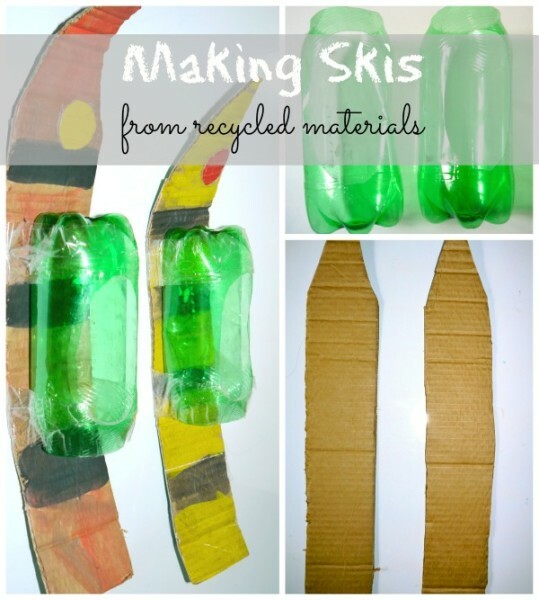 Make your own Skiis out of recycled materials – This is such a clever idea! 8.) 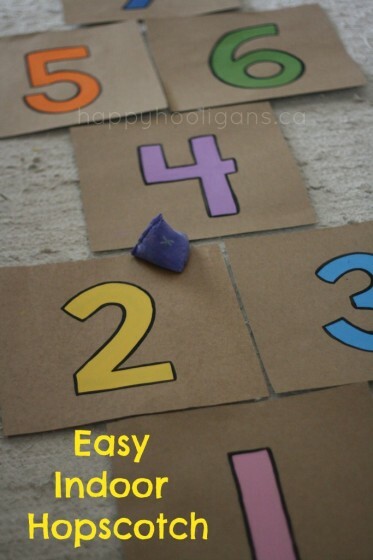 Make your Own Hopscotch – My girls love hotscotch, so this will be a hit! 9.) 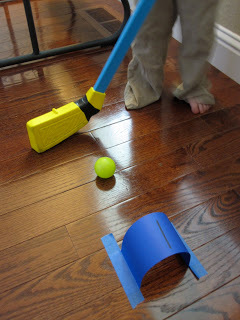 Indoor Croquet – How creative! My son would love this! 10.) 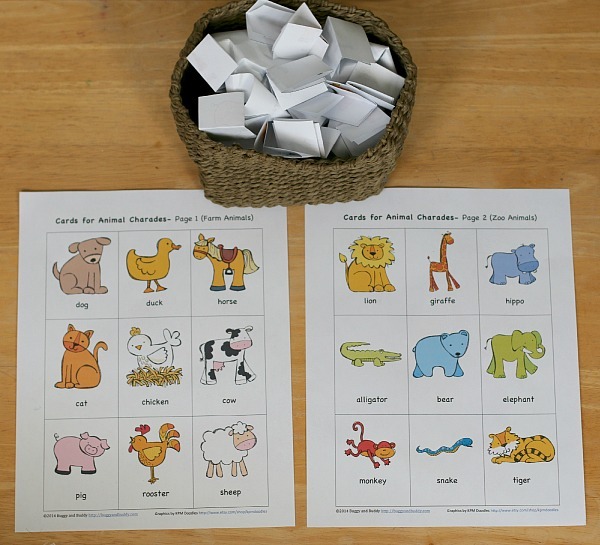 Animal Charades – Playing charades with children may be the most fun thing in the world. I just printed these off to play this afternoon. 11.) 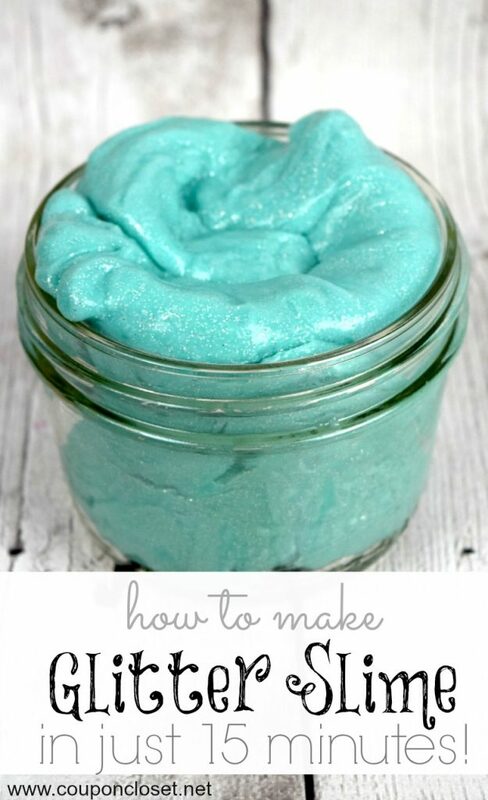 Make Glitter Slime – My girls love anything with glitter. 12.) 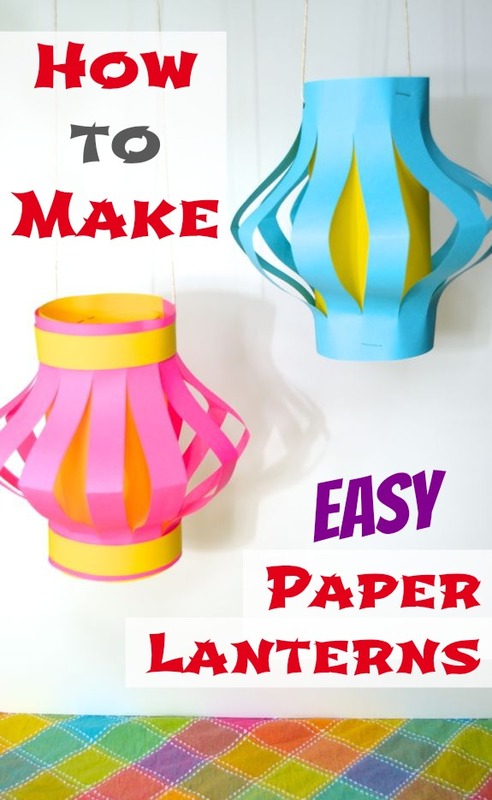 Easy Paper Lanterns – I am always looking to use toilet paper rolls in crafts. This one is a great idea! 13.) 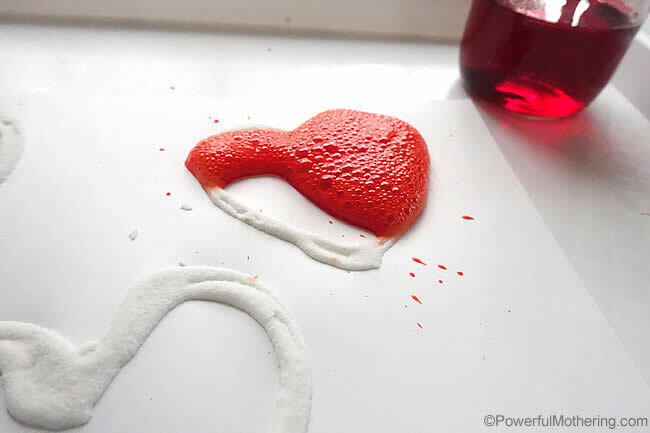 Dish Soap Silly Puddy– How fun is this! Anything gooey my kids love! 14.) 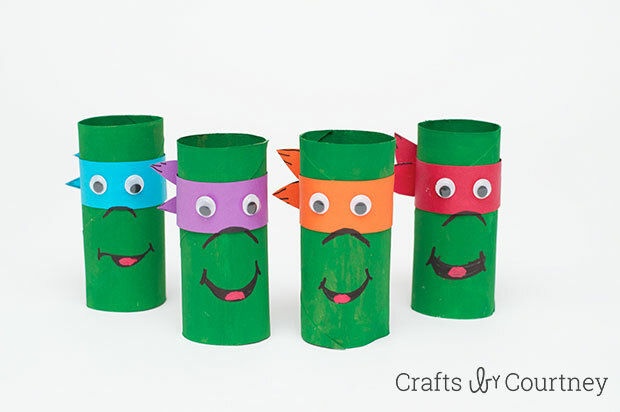 Make Teenage Mutant Ninja Turtles out of old Toilet Paper Rolls – My son loves Ninja turtles, so this is a fun one for him! 15.) 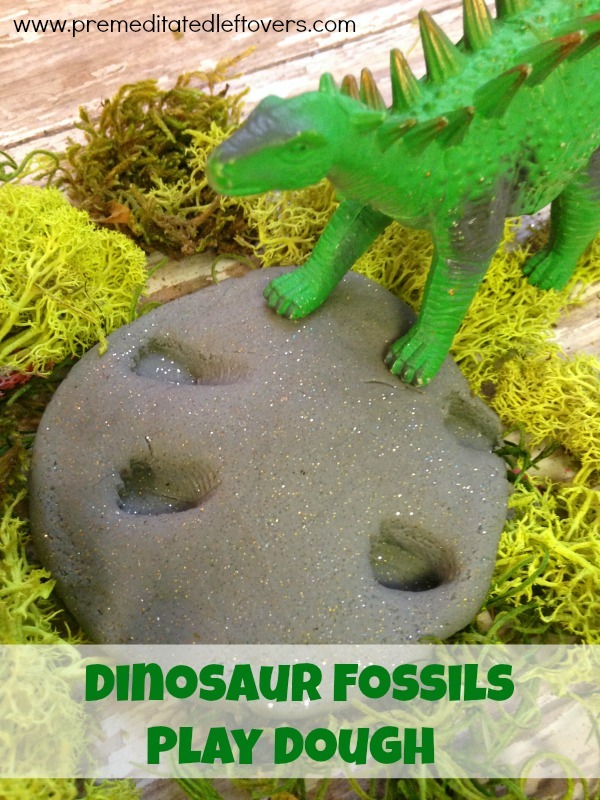 Dinosaur Fossils playdough – We love anything having to do with Dinosaurs, so this is a fun craft for all the kids. 16.) 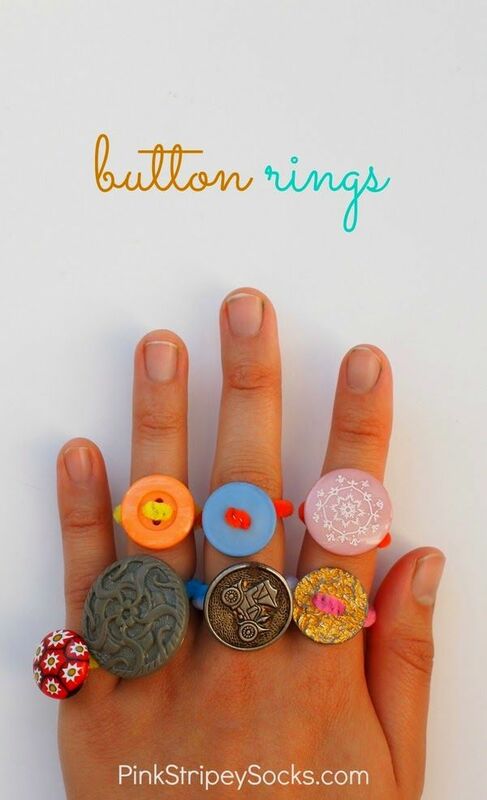 Make your own Button Rings – This one is perfect for older girls! We love to get buttons at garage sales or thrift stores for cheap! 17.) Q-Tip Star Art – Glue and Q-Tips – can you ask for anything more fun? 18.) Frozen Q-Tip Painting – Anything Frozen themed my girls LOVE! 19.) Paint Sample Puzzles – go out and grab some free paint samples at your local store. 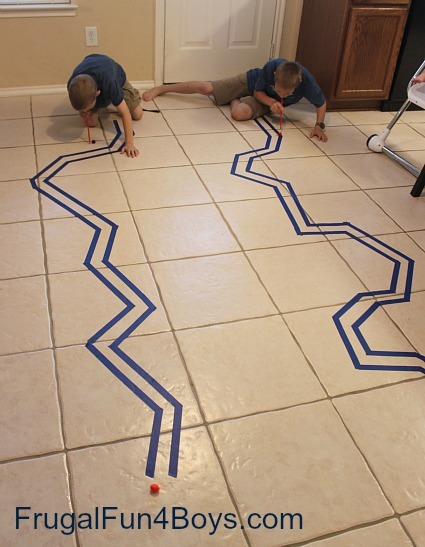 Then make your own puzzles! 20.) 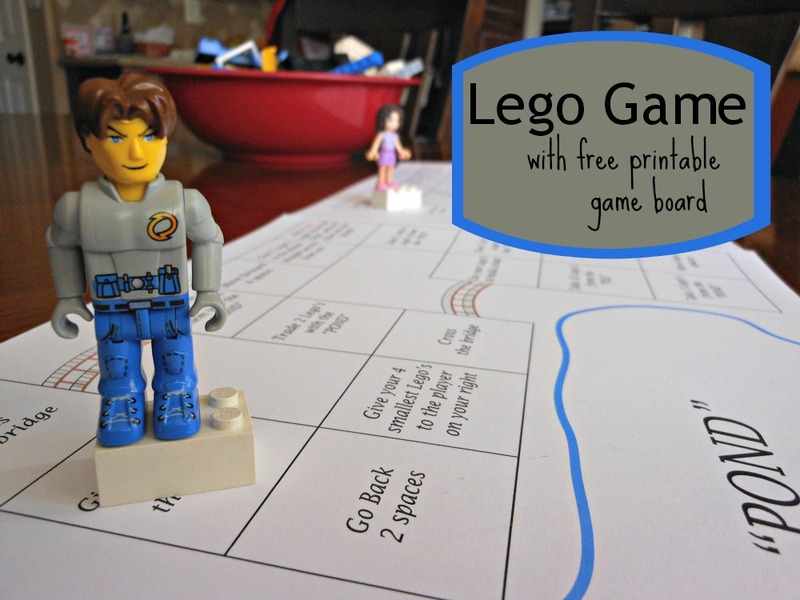 Printable Lego Game – We have SO many Lego guys that would love to play this with us! 21.) Make Fizzing Hearts – Pretty cool! I love the look on my kids faces when something unexpectedly fizzes! 22.) Make your own Oobleck – We've made this before and it acts like a liquid and a solid. It is so strange and SO cool!